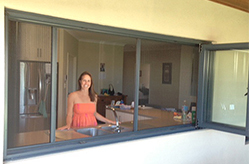 It is important to keep flies and mosquitoes at bay when using a servery. 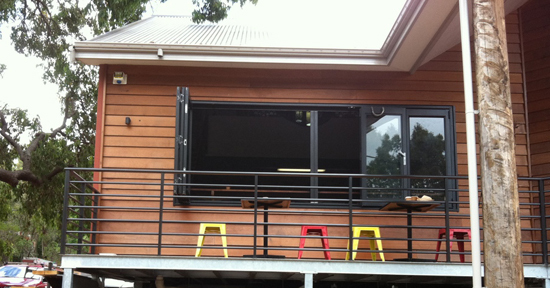 Our retractable insect screen enables easy servery access and total barrier. aesthetics regarding the number of panels and the colour. 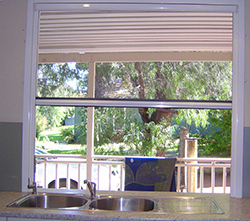 Flyscsreen is 20mm semi transparent pleated polyester which provides maximum view and ventilation. Either 3mm barrier free sill or 20x30mm fixed channel, depending on the model. No tensioned spring or counter balance mechanism or brake. Kevlar cords tension the mesh. Screen slides or rolls reasily and stops in any position along the opening.